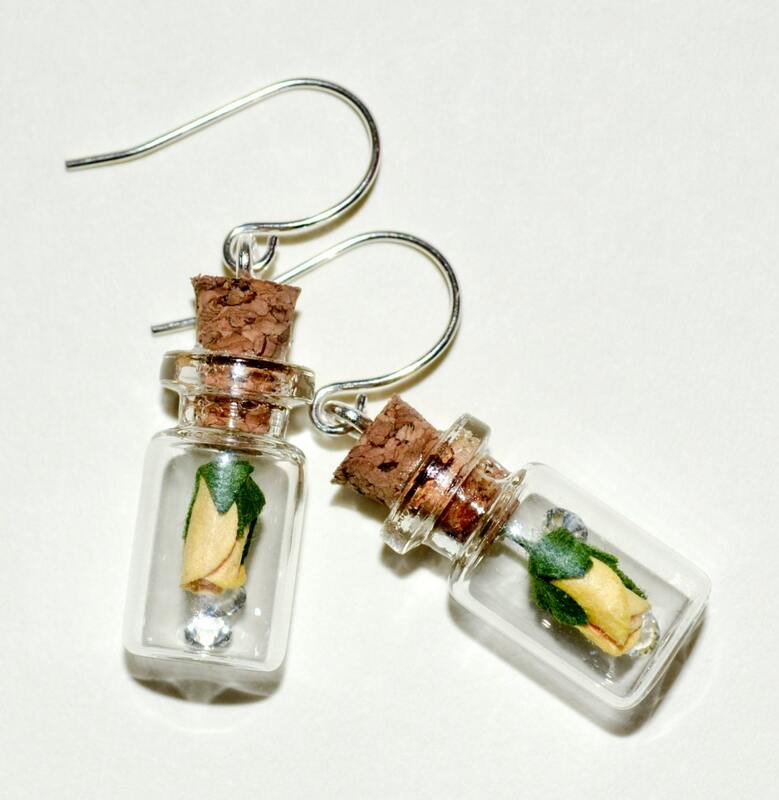 Fabulous summery drop earrings - tiny paper rosebuds in deep lemon are encased in little glass bottles, with a simple silver plated earwire securely attached to the cork. 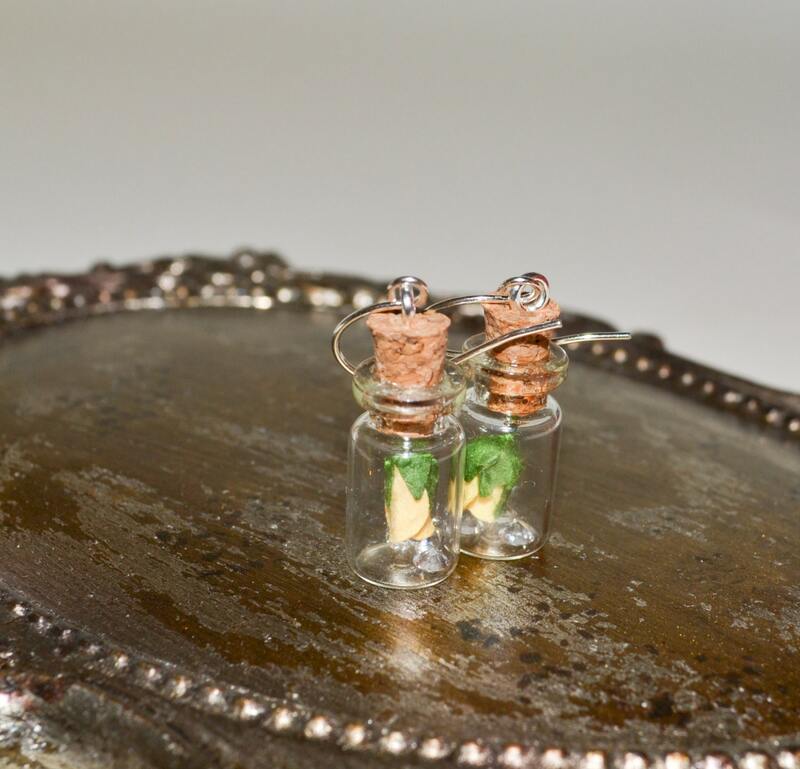 Each rose hangs over a sprinkle of sparkling crystals which catch the light as the earrings dangle. 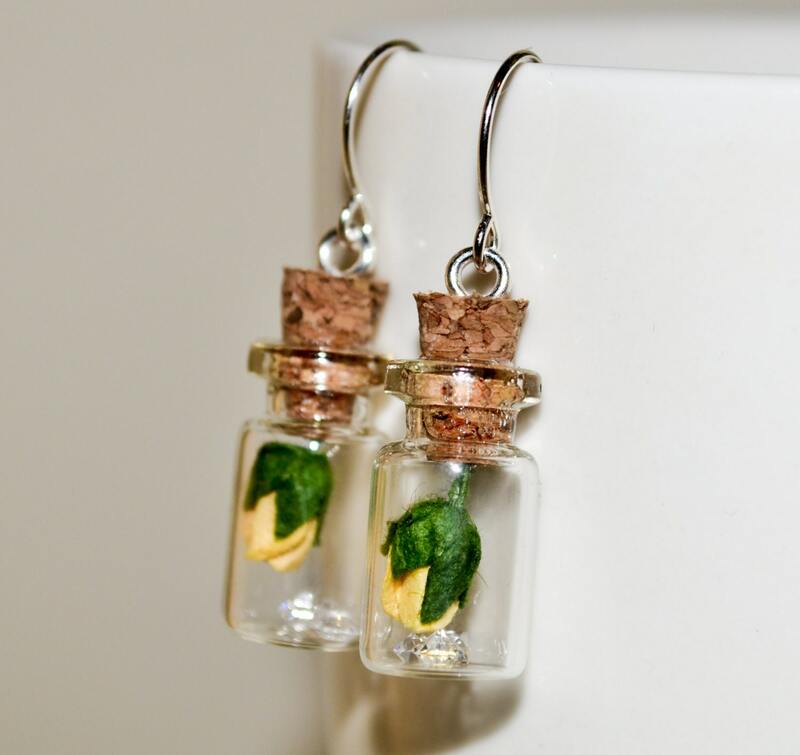 Perfect for a bridesmaid or special occasion, or simple enough for everyday wear. Don't worry - they're not heavy! 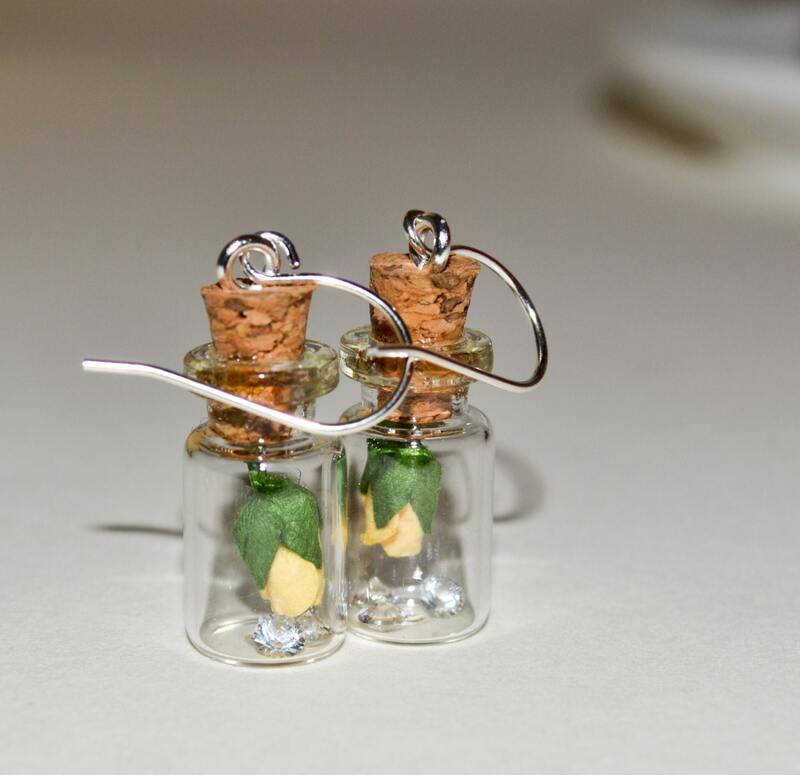 The drop from the top of the ear wire is just under 1.5"/3.75cm, and the little glass bottles themselves are around 0.75"/2cm tall. 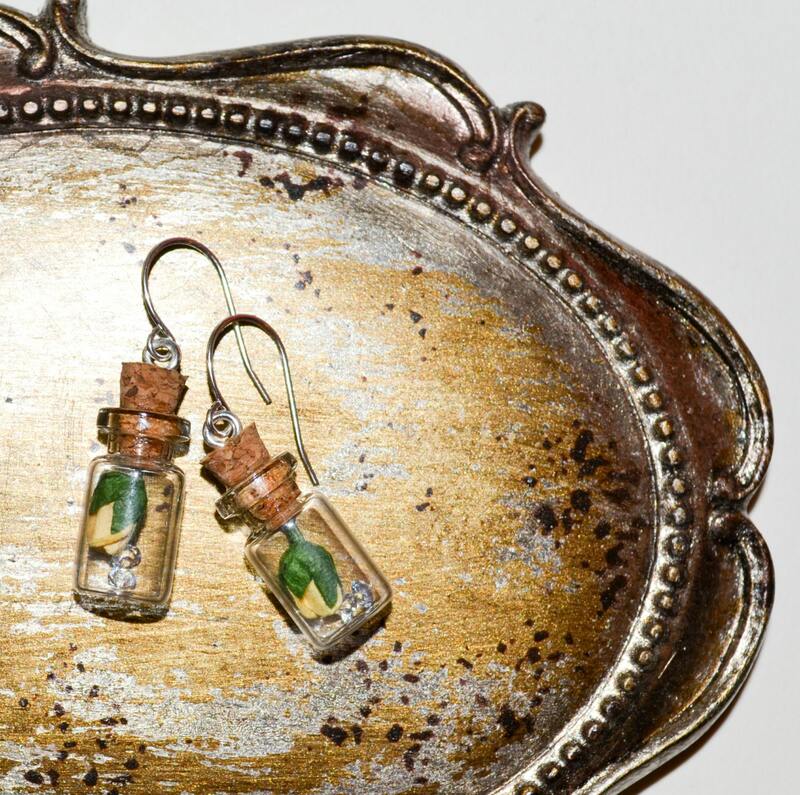 Your earrings will be gift-boxed for safety, packaged prettily enough to give as a gift.